We’ve opened the referee course registrations for the L1, L2 and Coaching of Match Officials for the Summit coming up on Aug 29-30, 2015. A referee has a unique perspective as they have the best seat in the house for all the action. Become an artist of the game and help the players compete within the laws and get paid! The purpose of this course is to enable officials to develop further the skills acquired in the introductory course so as to officiate safe, enjoyable competition. This course requires 2 days. 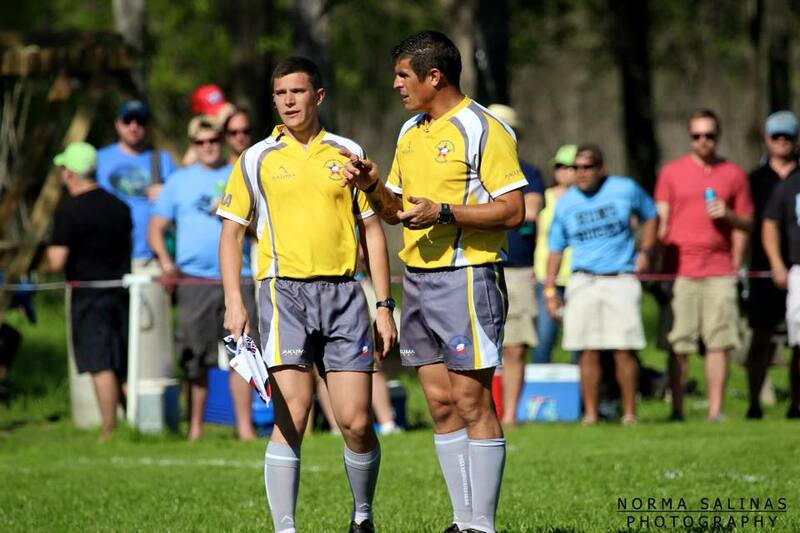 Provides instruction on the primary tasks of the touch judge in adjudicating touch, touch-in-goal, kicks at goal, and the roles of the touch judge in seven-a-side rugby. Provides instruction on the secondary and tertiary responsibilities and tasks of the touch judge, including the adjudication of foul play. What about the Coaching Courses?